House Oversight Committee Chairman Trey Gowdy, R-S.C., said Sunday that lawmakers should videotape the closed-door testimony of James Comey as a way to ease the former FBI director’s concern that his remarks would be selectively leaked if they weren’t made at a public hearing. 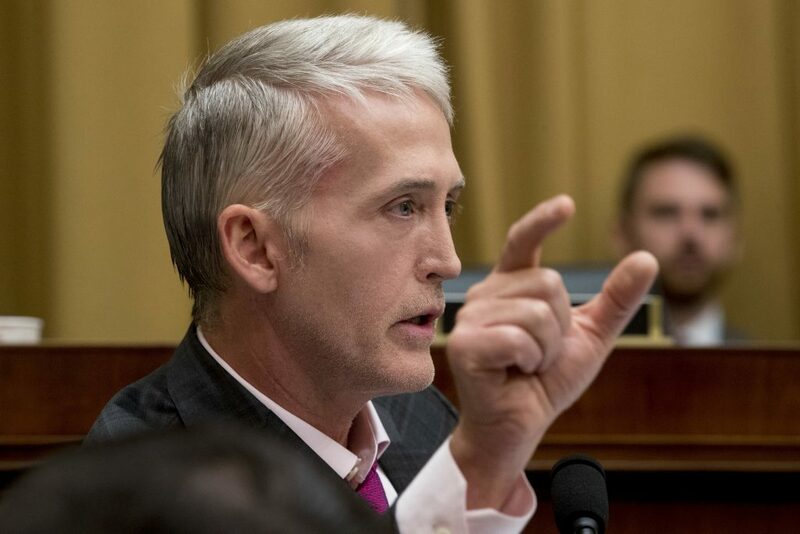 The suggestion came as Gowdy was answering questions on CBS’ “Face the Nation” about the House Judiciary Committee’s recent subpoena of Comey and former attorney general Loretta Lynch for private testimony. The committee is probing federal law enforcement’s handling of two politically charged probes into Hillary Clinton’s private email server and possible coordination between the Trump campaign and Russia. Comey has said he planned to resist the subpoena, though he was willing to appear at a public hearing, in part to prevent misleading leaks. Gowdy said he agreed with Comey’s concern about leaks from Congressional inquiries. “I don’t get a chance to say this very often, but I do think Jim Comey is right,” he said. He quickly added, though, that he did not think the former FBI director should testify publicly. Instead, a video recording of the closed-door testimony should be released later after references to classified material are removed. Gowdy derided Congressional hearings as having “a professional wrestling type carnival atmosphere,” asserting that people often act differently when they know they are appearing on TV. He said the logistics ultimately would be decided by House Judiciary Committee Chairman Bob Goodlatte, R-Va., but added that, if he were in charge, he would make a “formal offer” to Comey. A lawyer for Comey declined to comment. A spokesperson for Goodlatte did not immediately return a message seeking comment. The subpoenas direct Comey to appear on Dec. 3 to speak with members of the House Judiciary and Oversight and Government Reform committees. Lynch is to appear on Dec. 4. The issue very likely could become moot if there is any delay, as Democrats, who hold a decidedly different view of both the Russia and Clinton probes, will take control of the House, and its subpoena power, early next year.